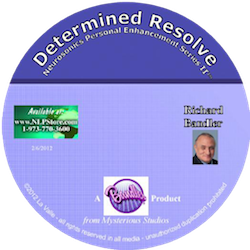 This is excerpted from a Neuro-Hypnotic Repatterning seminar with Richard Bandler and is outstanding. Many pople don't make decisions easily, and some are afraid to make those important decisions in their lives. Richard takes us through doing this. With his Soften tape being very popular, this is the most up-to-date version now on CD.